Helical Technology has been established for over 50 years and has a global presence with production facilities in the UK, India and China. 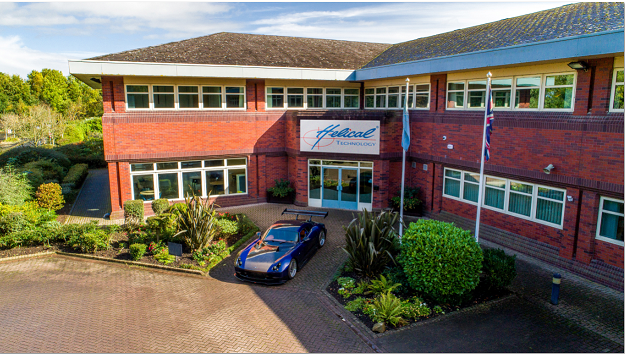 With a background in the design and manufacture of springs, valve rotators, actuators & prototype exhaust systems, the business is now a world leader in the design and manufacture of acoustic and EGR exhaust valves and offers world class testing services at its purpose built Technical Centre. Our company has evolved over the years to meet the growing demands of an increasingly global market. Today the family-owned business supplies clients across Europe, America and Asia from its headquarters and Technical Centre in Lancashire and from manufacturing subsidiaries in China and India. Our collaborative approach, with clients and production partners alike, enables us to deliver tried and tested solutions that perform without compromise in the most challenging conditions. Dedicated design teams for each product line are focused on a continuous process of development and improvement, while extensive on-site testing facilities ensure each component and system conforms to our Customers’ exacting standards. We are proud to have achieved the very highest international quality and environmental accreditations, and we think you’ll find evidence of our commitment to excellence in every aspect of our business.